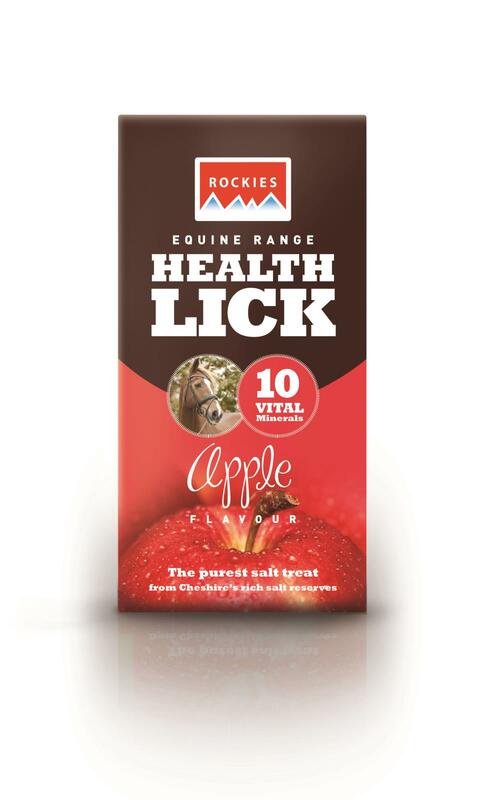 Rockies Flavoured Health Licks come in 5 yummy flavours: apple; carrot, cherry, mint & garlic. They contain optimum amounts of vitamins, minerals & trace elements, to help keep your horse in great condition all year round. Rockies Flavoured Health Licks are produced in the UK, from Cheshire salt. Unlike some other flavoured licks, they aren't high in molasses or sugar. They can be attached to the stable wall/door or a field fence post, by a lick holder (sold separately).